This guy accidentally threw away his hard drive which had a Bitcoin wallet installed on it with 7,500 Bitcoins….ouch. If he had created a back up he would be able to get them back again. Here is how the process looks like. Whether it’s Blockchain.info, Bitcoin QT, MultiBit or any other wallet. Save your exported backup on to a flash drive and keep it in a secure place. Some wallets will allow you to password protect your backup so that if someone gets a hold of the file he won’t be able to use it. Now if for some reason you end up losing your Bitcoin wallet – for example, someone steals your mobile device. 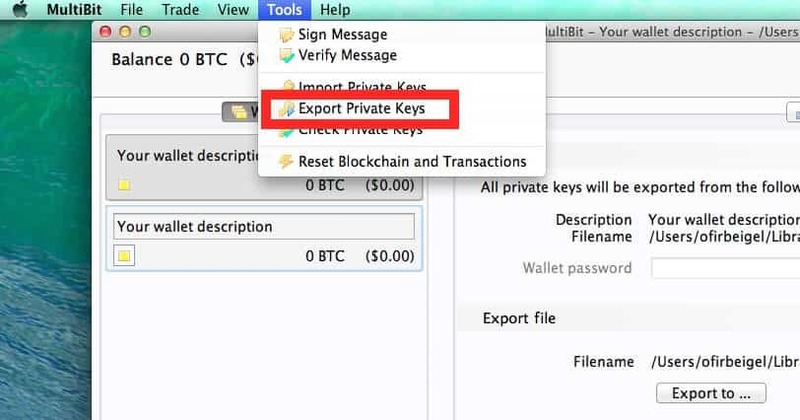 You can just open a new client, import this backup and move the Bitcoins out of that wallet to a new wallet. Blockchain.info even has a very handy option of automatically sending you backups to your dropbox or Google drive which you may want to consider. Remember, all the backup is, is a list of your private keys. Whoever has your private key owns your Bitcoins. 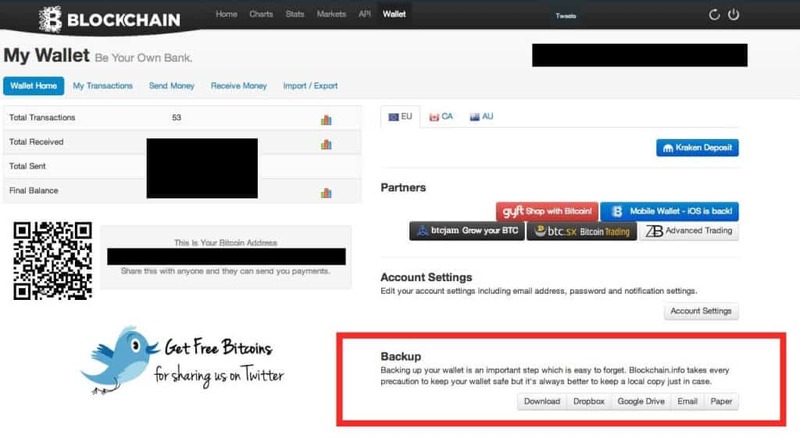 If you have any more questions about backing up your Bitcoin wallet feel free to post them in the comment section below. You say “backup every wallet”. I assume this isn’t necessary if using something like the Ledger Nano S. Wouldn’t have a clue of how to back it up anyway. Your one-week course via email provided extremely helpful information, thank you! Hello Offir! Great video again, thanks a lot for your education. I have only question about Blockchain.info, are they a real wallet and they do not have our private keys? I see that you mentioned that we can do backup, so it looks they are secure for us. I am little confused, because there is to much different services which says they are wallets but they not. Thanks again! Where is the best place to earn bitcoins from? Thanks for the great videos, I was wondering about the 7500 bitcoins in the hard drive that the guy threw away, so they gone forever? Not just for him but never to be in circulation again? I wonder what percentage of bitcoins will never be seen again like that! Thanks for all the tutorials; it’s helping to get my head around bitcoin and how to keep them safe. These are probably stupid questions, so I apologies in advance. I too use Blockchain.info. How secure do you think this is and how robust a company are they? I’ve backed-up as you suggested, but if Blockchain.info got hacked, that would mean my back up is useless if the hacker/s has already moved them from my wallet to their’s, or am I missing something?